A student investigation exposing a lack of psychological support for Kiwi soldiers returning from war zones has won this year’s Bruce Jesson Emerging Journalism Award. The investigation, published in the Dominion Post, was written by an American student at the Massey University journalism school in Wellington, Audrey Seaman. She found that the NZ Defence Force offered only “one size fits all” support for returning military personnel, and failed to provide the extra support required by some who served in active war zones such as Iraq. One returning soldier, Major Terry Johanson, now a lecturer in Massey University’s Centre for Defence and Security Studies, said he was an “animal” when he returned from a dangerous deployment in Afghanistan. “It wasn’t until his wife told him six months later that he still hadn’t really come home that he answered a follow-up psychological screening honestly and got help,” Seaman wrote. The Bruce Jesson Foundation’s journalism awards subcommittee unanimously ranked Seaman’s story as the best entry for this year’s Emerging Journalism Award, worth $1000. “She has uncovered an issue that has been generally ignored in the NZ media; she has found case studies that make a convincing case that current psychological support for people returning from war zones is inadequate; and she has balanced those cases with others suggesting that current support is sufficient,” the subcommittee said. 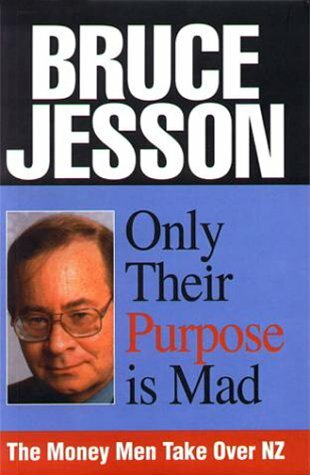 The Bruce Jesson Foundation was formed to remember Auckland journalist and politician Bruce Jesson, who died in 1999. The Emerging Journalism Award is granted annually to a journalism student. Entries must be submitted by late September each year through the head of a recognised NZ journalism school. Audrey Seaman’s article is online here. The press release can be downloaded here.